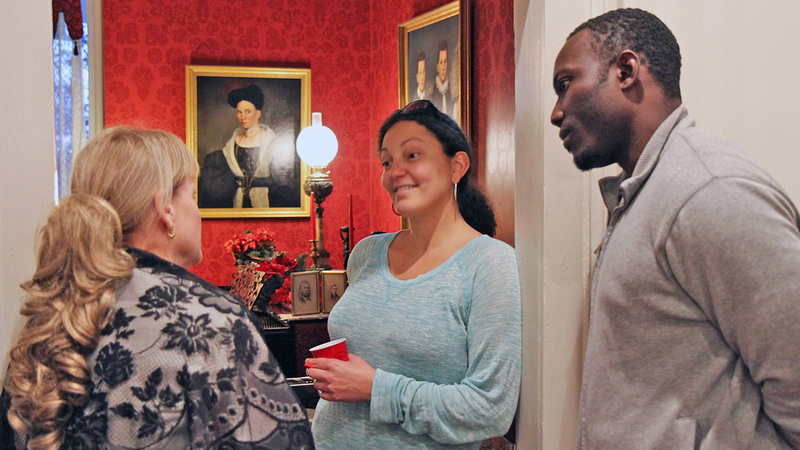 On Dec. 12-13, I had the pleasure of attending the annual Christmas open house at Knoxville’s Mabry-Hazen House. The decorations were spectacular. From the roping and wreaths gracing the veranda to the elaborately festooned mantles in the dining room and parlor, the spirit of Christmas was on full display. 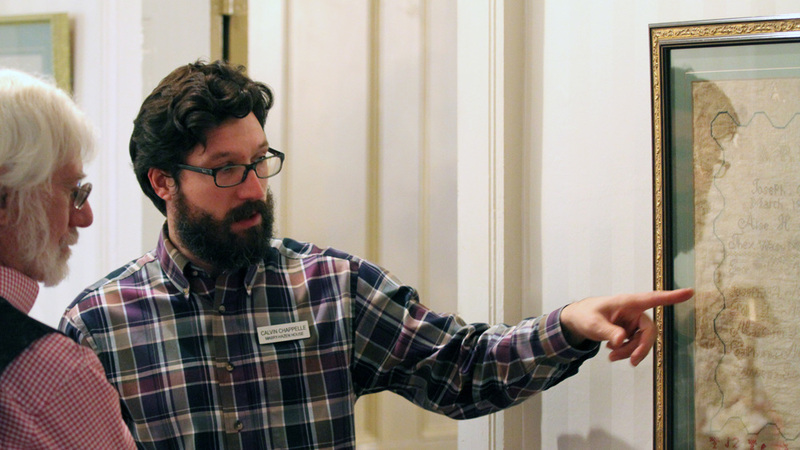 Calvin Chappelle, the executive director of the Hazen Historical Museum Foundation, organized the events, but it was the docents who made them come to life. Wearing period costumes, including hoop skirts and fine lace shawls, they glided through the hallways of the magnificent Italianate antebellum mansion, leading visitors through the various rooms which house the collection of antiques and heirlooms from both the Mabry and Hazen families. Seeing the house in such splendor was a treat for me personally. When I first visited the house in 1988, it was a decaying relic from another time. Its last inhabitant Evelyn Montgomery Hazen had died a few months before, leaving the executrix of her estate, my cousin Lucille LaBonte, with a nearly impossible task—either find the funds to turn the house into a museum, or tear it down and send the proceeds from the estate to the Humane Society. At Lucille’s insistence, I started work on a book about Miss Hazen, in hopes that it would help raise money for the home’s restoration. I also had a day job and a daughter to rear, which limited the amount of time I could spend on research and writing. Eventually, however, I completed the first version of The Seduction of Miss Evelyn Hazen. Now there is second edition of the book. 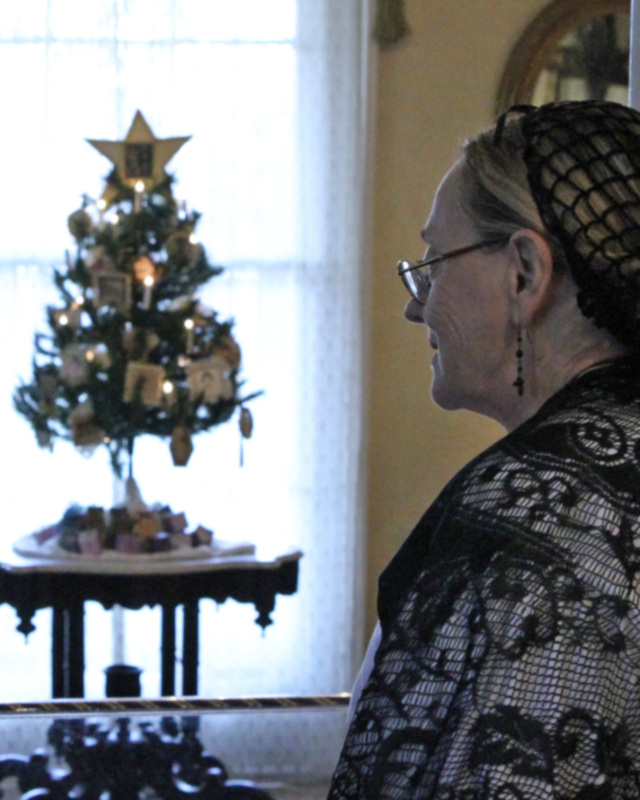 It was released on Dec. 12, at the Mabry-Hazen House. This new book is a vast improvement over the first edition. It contains an introduction from Calvin Chappelle and Arin Streeter, who serves as the vice president of the board for the Hazen Historical Museum Foundation, as well as a family tree and several photographs of Miss Hazen and her family. Several Knoxvillians have said Miss Hazen was the most beautiful woman who ever had been born in the region. Even during her court case in 1934, a reporter described her as “comely,” although a photograph taken at the courthouse shows the strain on her face. My book provides the details of Miss Hazen’s suit against her former fiancé for breach-of-promise-to-marry and seduction. The second edition of The Seduction of Miss Evelyn Hazen can be purchased at the Mabry-Hazen House, Knoxville’s Union Avenue Bookstore, and the East Tennessee History Center. My goal was to faithfully tell her story, using many of her own words, court documents and a collection of letters. My research generated far more material than could be put into the book. So with Calvin’s permission, I plan to provide many additional details about Miss Hazen and her life in several installments on this blog. The information comes from interviews I conducted with people who knew Miss Hazen in the late 1980s and 1990s. Stay tuned.